There’s no denying that patients who are on dialysis are a bit more fragile than other people. Their bodies are having to work overtime because their failing kidneys aren’t able to keep up, which is why they have to go to dialysis several times a week. Dialysis treatments are extremely exhausting and can leave the patient feeling frustrated, overwhelmed, and at times, a bit depressed. 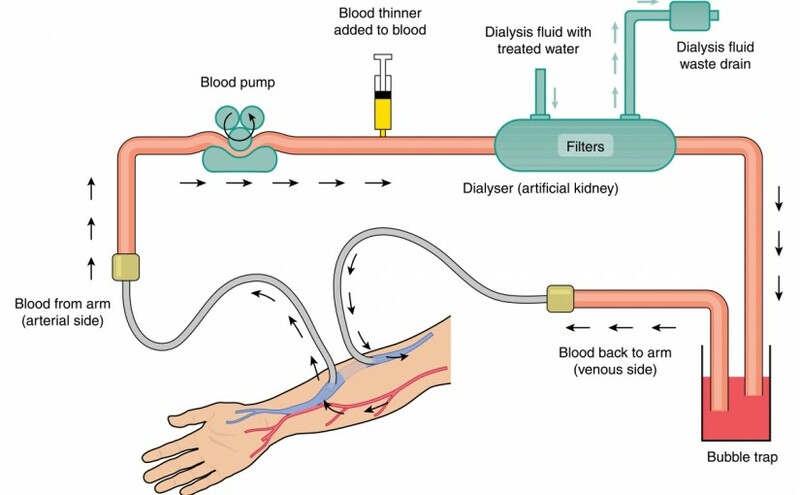 A patient that is on dialysis has to live by a strict set of rules to ensure that he or she stays as healthy as possible and so that his or her kidneys can do what they need to do to survive. If you’re a caregiver of someone on dialysis, or if you’re a dialysis patient yourself, keep reading to learn some essential tips for protecting dialysis patients. It goes without saying that cigarettes are extremely harmful to the body, and not just for dialysis patients. One of the biggest parts of protecting dialysis patients surrounds cigarettes. If you’re on dialysis, or if someone that you’re taking care of is, make sure that they put the cigarettes down. Not only does it affect the health of their kidneys, but it can also quickly lead to heart disease and issues with blood pressure. There is plenty of information out there to help a person quit smoking, so make sure to do some research to help your loved one. When it comes to protecting dialysis patients, it’s important to make sure that they remain at a healthy weight at all times. Being overweight can put a significant amount of stress on their kidneys, which are already working overtime to keep the body going. Be mindful of the food that they’re eating, and stay away from foods high in sodium. The most important part of protecting dialysis patients is making sure that their blood pressure is under control constantly. Speak to their doctor about the best ways to maintain a healthy blood pressure, whether it’s eating certain foods or going on medication. Taking care of someone on dialysis is a tough job, but someone has to help these people. If you’re the type of person that wants to live your life helping others, then give Dialysis 4 Career a call. We strive to train incredible human beings to help those suffering while on dialysis. It takes a special person to help. Are you that person?